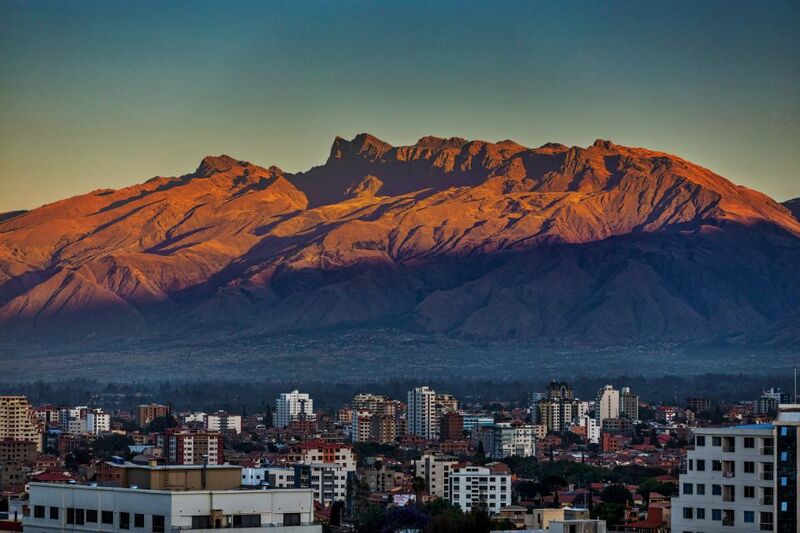 It has been a huge week for the OHI team here in Cochambamba ‘Ciudad de Todoa’ – the ‘city with everything’. 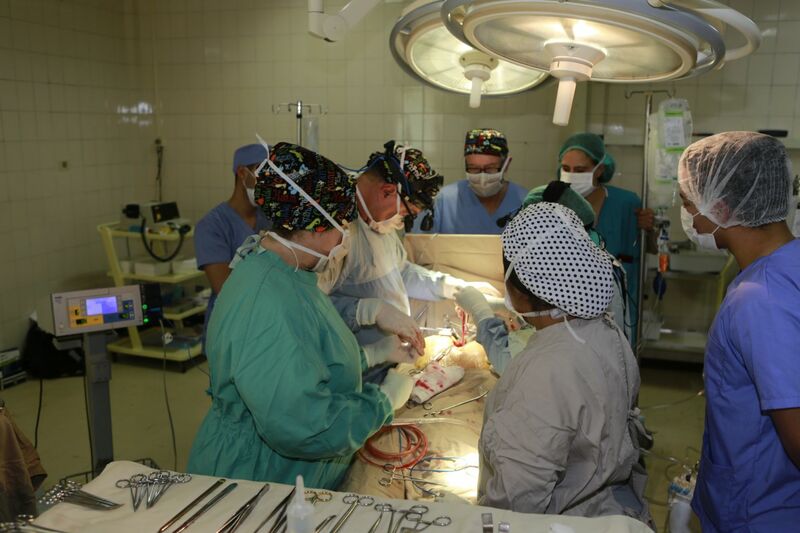 The surgical team review patients, prep for surgery, perform the often long and complex procedure, then prep for transfer to ICU. Once the patient is safely in ICU they repeat the process once again, often without stopping for lunch. 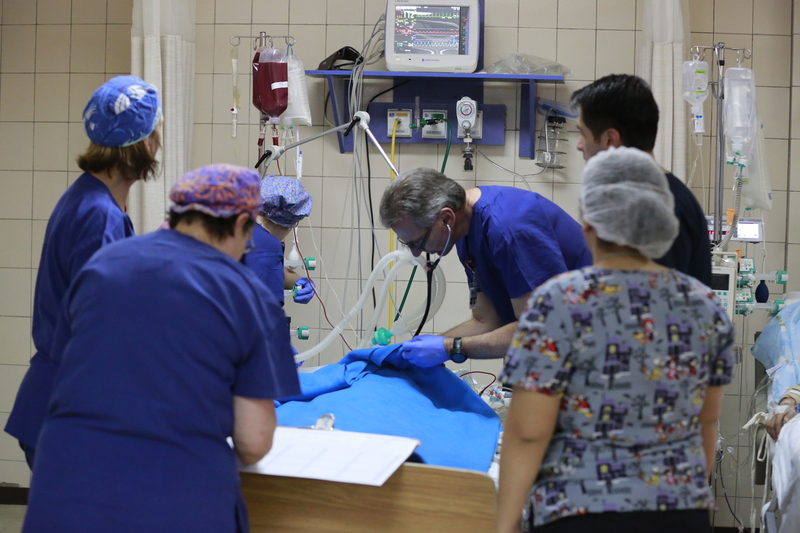 Amongst all this they are teaching local staff, not only procedures but also clinical processes that will enable them to run Hospital Univalle’s surgery more efficiently in the future. Dr. Ian Nicholson who performs the intricate open-heart surgeries maintains a sea of calm, working without many of the modern tools he is accustomed to and the constant movement and chatter around him. 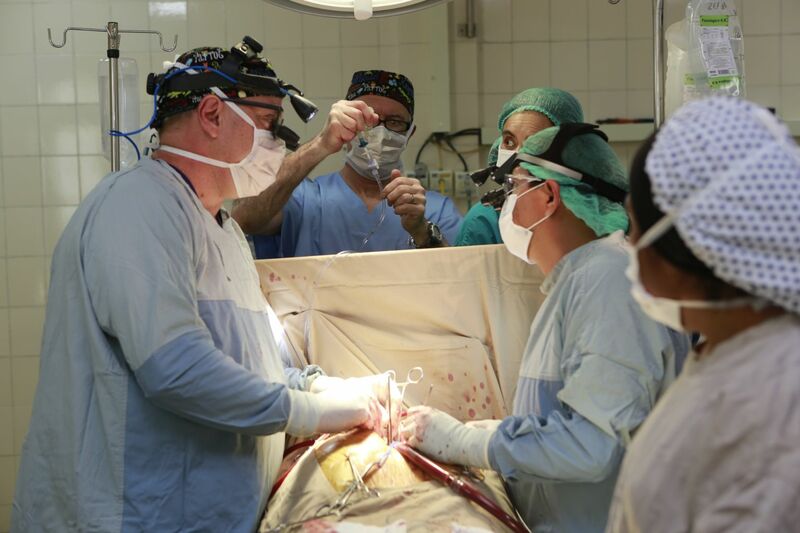 Often the surgery has many local doctors, interns, medical students and nurses observing, asking questions, filming and even tweeting on smart phones. Photo: Dr. Dom in his ‘Never to Leave Hospital’ scrubs. The ICU team having been caring for patients post surgery from early in the morning until late into the night. 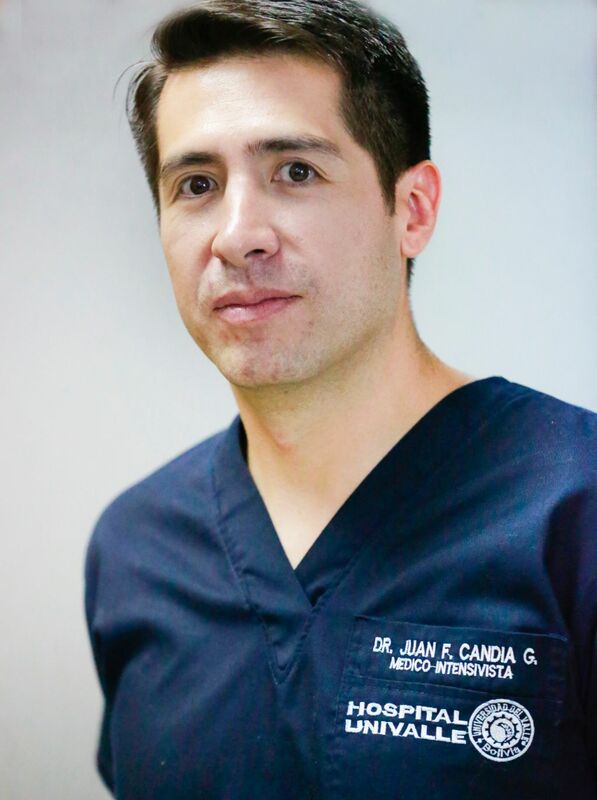 They’ve been greatly assisted by local Intensivist Juan Fernando Candia, Nurse Supervisor Silvi and her dedicated nursing team plus, Interns – Walter, Camilla and Carlos. Patients returning from open-heart surgery have a multitude of complex issues that must be managed, monitored and carefully adjusted for them to survive and finally thrive. 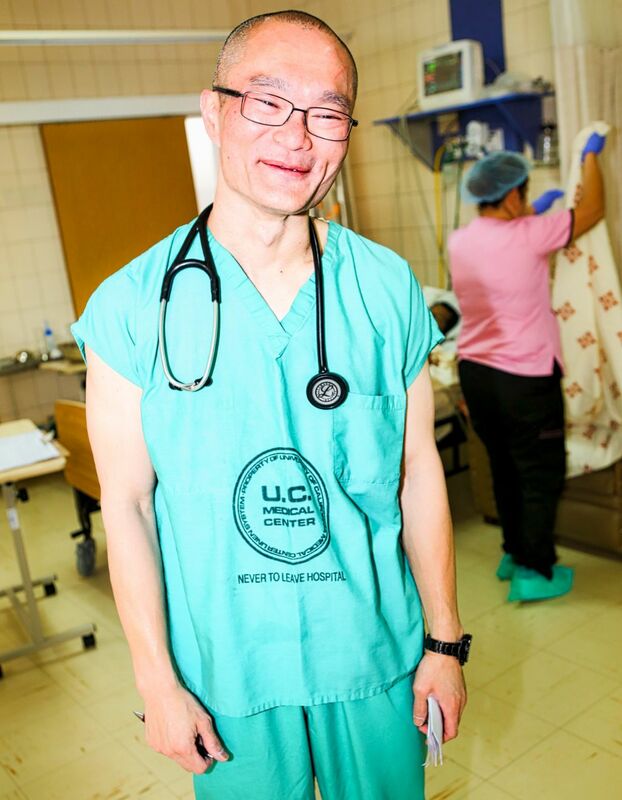 The team were meant to finish operating Friday, but Dr. Nicholson agreed to take on three additional patients, so everyone was back at the hospital bright and early Saturday morning to do it all again.